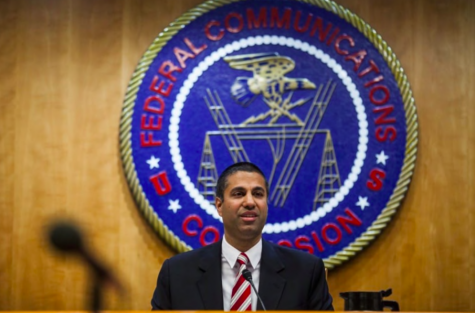 On December 14th, the Federal Communications Commission will decide whether or not to repeal net neutrality. Originally, net neutrality was passed in 2015 and internet service providers (ISPs) were classified as a utility-like tool for communication. The new classification allowed them to fall under Title II of the Communications Act of 1934, which “ensures a level playing field, allowing people to share and access information equally”. It established a set of rules that ISPs (like AT&T, Comcast, and Verizon) must follow in order to ensure that they do not speed up, slow down, or block any content. These rules currently protect people’s right to communicate online freely, access information, and preserve the free internet, however, these freedoms are a risk. 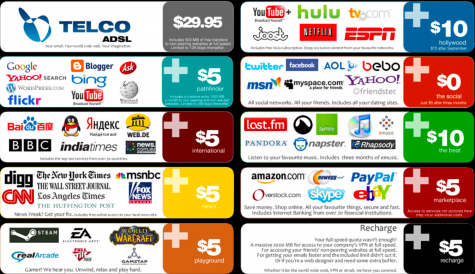 If the FCC repeals net neutrality ISPs could charge different prices for fast and slow networks and block certain content. Charging different prices for networks would essentially split the internet into two lanes. 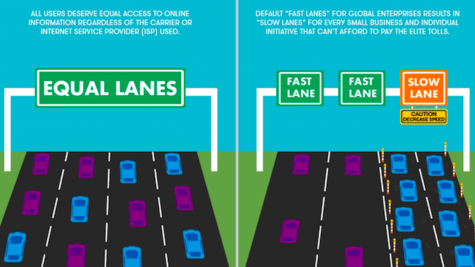 The “fast lane” would be where companies who pay more have access to the high-speed internet we know today, and the “slow lane” would be where people who cannot afford the “fast lane” have a slowed down version of the internet. Another concern about repealing net neutrality is the ability that the ISPs would have to block certain content. This would give them the ability to decide what websites could succeed, what ideas can be seen, block competitors, or even split the internet into certain packages (you would pay for a “social package” where you could access Facebook, Twitter, and Instagram, but you would have to pay more for the “new package” with access to the Wall Street Journal, WMUR, The New York Times, etc.). One big concern about this is that it could make it nearly impossible for smaller tech companies to start out because the ISPs would not give their customers access to their websites or information, another big concern is that many activist groups rely on the internet to organize and advertise their events and without it they would not be able to get their messages out. Those who support repealing net neutrality argue that the net neutrality rules stop innovation and are a government overreach. They say that the internet should be treated like other things. You pay for a first class ticket on an airplane, so the “fast lane internet” would be like a first class internet ticket. However, in an airplane the whole plane is going to the same place at the same speed, you do not pay more for a plane ticket that gets you to your destination in three hours instead of six, and that is where it differs from net neutrality. They also argue that the new transparency rules would be able to keep the internet in line. These transparency rules would require ISPs to be transparent about whether or not they block content, or give preferential treatment to certain content. If net neutrality passes, the internet would no longer be classified as a utility-like tool for communication, but rather an information service. This new classification would give the Federal Trade Commision (FTC) the responsibility to uphold these rules. This seems like a good compromise, the internet loses some of its freedom, but the people know what ISP is doing what so they are aware of how their ISP affects their internet access. However, a court case that is currently going on between the FTC and AT&T, could make the transparency rules meaningless. The FTC is responsible for prosecuting companies that act in unfair or deceptive ways. They monitor all companies except for a select group of companies called “common carriers” which includes oil and gas companies, freight and cruise liners, and telecommunication companies. In this court case, AT&T is arguing that they should be classified as a telecommunication instead of an information service. If the court rules in favor of AT&T this would mean that ISPs would not be liable to follow the transparency rules because the FTC could not monitor or prosecute them for unfair or deceptive behaviors. The organization Public Knowledge, who promotes freedom of expression and an open internet, wrote a letter to the chairman of The FCC, Ajit Pai, urging him to put off the net neutrality vote until after the court case is over because of the uncertainty that repealing net neutrality could cause. Pai wrote back saying that the vote would go on a scheduled, on December 14th, but he did not address any solution for the potential problem. The former FCC chairman, Tom Wheeler, who drafted the net neutrality rules told The Washington Post, “The jobs of the FCC is to represent the consumer, tragically, this decision is only for the benefit of the larger monopoly services that deliver the internet to the consumer”. However, if the FCC goes through with the motion to repeal net neutrality they would be doing something the recent polls show 83% of people do not support. 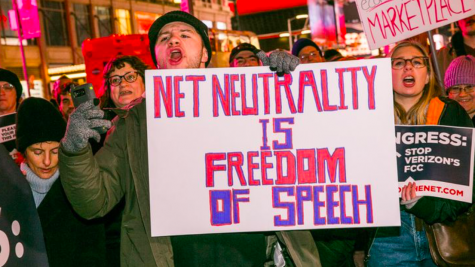 On December 14th, they will vote on the item titled, “Restoring Internet Freedom”, however, if they vote yes to this item, net neutrality will be repealed, and the only freedom being given would be the freedom of ISPs to change the way that people access the internet forever. Nice article. It really comes down to free markets vs government regulations … I think technology and markets change faster than the speed of regulation … therefore, the repeal is a good move.